Downtown Indiana will once again present the First Commonwealth Bank “It’s a Wonderful Life” Festival. Its centerpiece, a 30-foot live Christmas tree (grown right here in the Christmas Tree Capital of the World), is lit during the Lucy Donnelly Holiday Parade in November. The parade, a holiday tradition for the past 20+ years, draws thousands to the streets of Jimmy Stewart’s hometown. In addition to the floats and marching units, parade night features marshmallow roasting, hayrides, hot chocolate, crafts and of course, Santa’s arrival. The First Commonwealth Bank “It’s a Wonderful Life” Festival brings Santa to IRMC Park each Saturday from noon to 5 pm as well as musical entertainment and the opportunity to purchase holiday treats from local nonprofits. 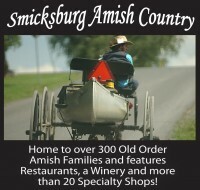 Visitors also will enjoy dining and shopping in our historic, walkable downtown. As evening draws near, don’t miss the Christmas light displays throughout Indiana’s downtown, some of which were once a part of the “Festival of Lights” at Blue Spruce Park for many years. On Sundays during the festival, families can enjoy Merry Matinees at the Indiana Theater as Downtown Indiana presents five favorite holiday classics. 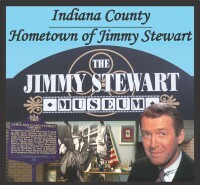 The Jimmy Stewart Museum is another must-see on any holiday trip to Indiana. In addition to the exhibits chronicling the legendary actor’s life and career, the Museum will show “It’s a Wonderful Life” during the holiday season. 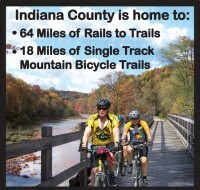 And a visit to Indiana at the holidays would not be complete, without purchasing your tree in the “Christmas Tree Capital of the World”, as we celebrate 100 years of growing Christmas trees in Indiana County.